All the fun of electronics. None of the headaches. Introduce your kids to the wonders of electronics and coding. With 2 levels of complexity, keep it as simple (or challenging) as you Want! 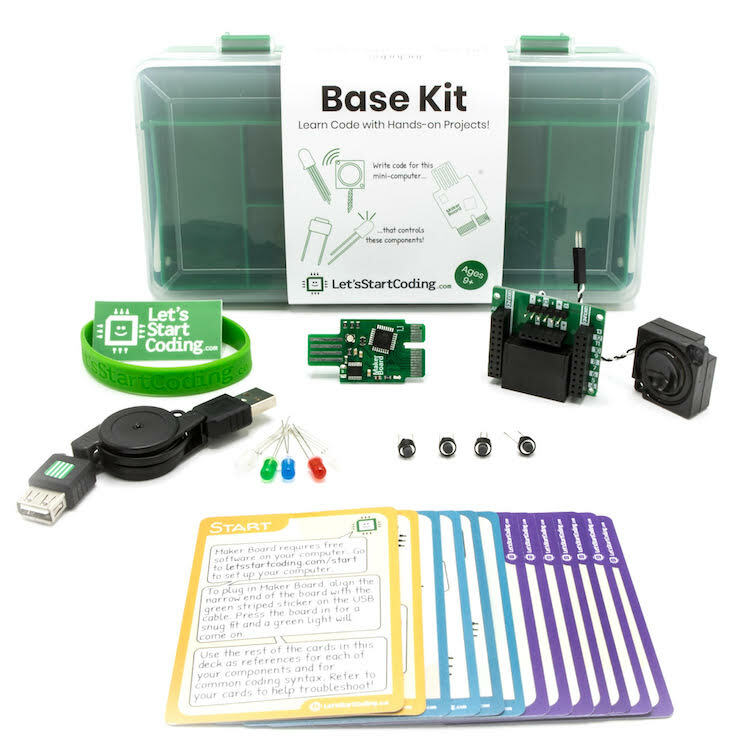 Your Let’s Start Coding kit contains electronics…. and a whole lot more.